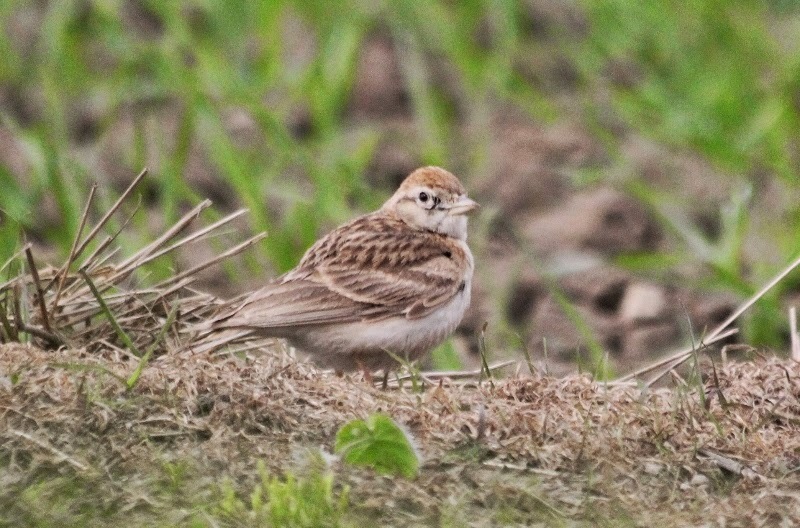 The first ever SHORT-TOED LARK for Scarborough was a top find at Long Nab during the morning, the bird frequented the 'Lapland Bunting field' just north of the Hut and spent much of its time feeding by the Cleveland Way, often showing very well! Also at Long Nab there was a Whitethroat and 330 Linnet. Elsewhere 5 Arctic Tern passed through Wykeham South Lake during the afternoon, also present there were the Egyptian Geese, 5 Teal, 2 Tufted Duck, 5 Oystercatcher and a Little Ringed Plover. On the move (north unless stated) were 16 Fulmar + 3 south, 41 Gannet + 24 south, 1 Cormorant south, 3 Greylag Geese south, 2 Shelduck, 3 Common Scoter, 17 Common Gull south, 4 Lesser Black-backed Gull, 9 Great Black-backed Gull, 110 Kittiwake, 2 Sandwich Tern + 2 south, 870 Auk sp + 70 south, 23 Puffin, 3 Sand Martin, 3 Swallow, 1 Meadow Pipit, 1 Fieldfare, 2 Carrion Crow, 7 Goldfinch and 15 Linnet + 8 south.